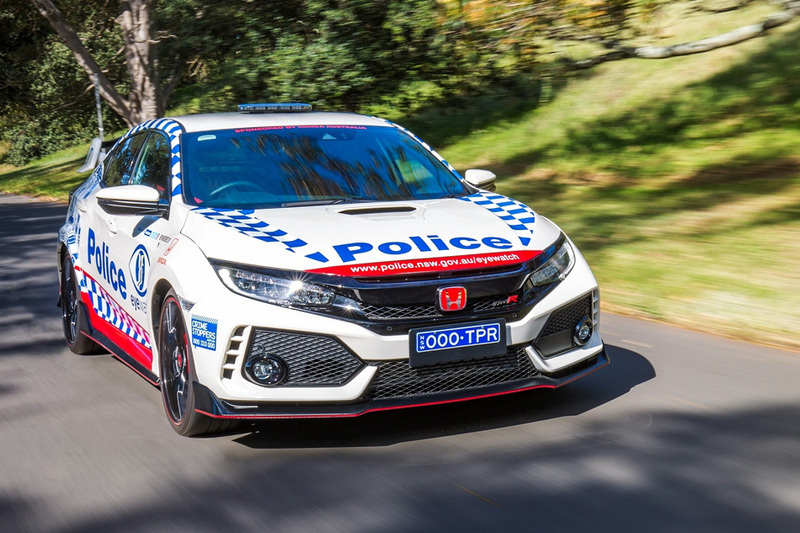 Honda’s multiple award-winning Civic Type R high-performance hatchback has being recruited by the NSW (New South Wales) Police Force in Australia. 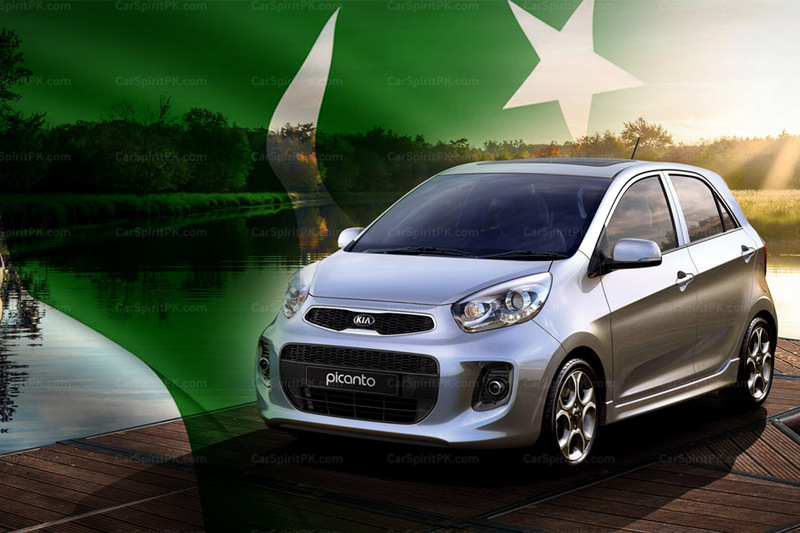 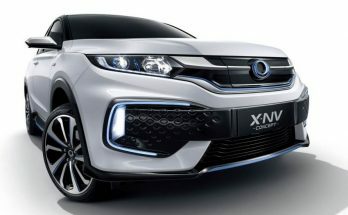 However it’s not on the highway patrol fleet and its primary role will not be traffic enforcement. 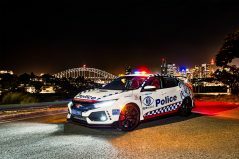 As part of a 12-month sponsored partnership between Honda Australia and the NSW Police Force, the Civic Type R has joined the Eyewatch social media initiative. 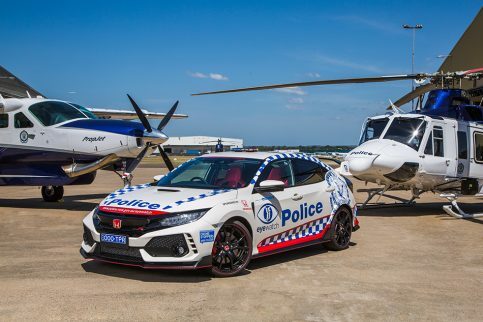 The Type R in Police livery is in fact a community liaison vehicle to be displayed at special events and is designed to bridge the gap between the public and the police. 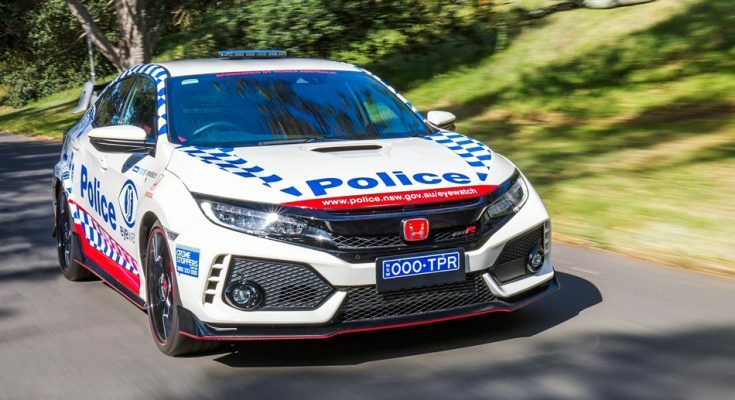 The Civic Type R is supplied by Honda free of charge to NSW Police so it doesn’t cost taxpayers to have it on the fleet. 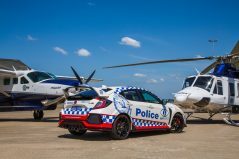 And that’s another reason it’s not about to join the highway patrol fleet anytime soon. 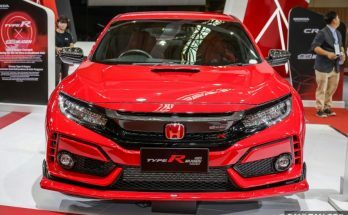 Though the law enforcement organization intends to take the Type R to big public events and schools in hopes of attracting young people and making them more comfortable with interacting with the police.